Data Compatibility Standards are specially designed database objects which create direct interoperability among data systems. Each interoperable data system becomes an integral component of a single seamless network of integrated data. Maxxphase provides an unobstructed view of all the integrated data your business needs. Data compatibility can solve your data challenges. Contact Maxxphase for a free consultation! Along with select partners, Maxxphase supports the implementation of Data Compatibility Standards and Methods for all phases of the System Development Life Cycle. Compatible data system development is a far different paradigm than traditional standalone data systems. Your data compatibility projects should not be planned by someone unfamiliar with the capabilities of Data Compatibility Standards and Solutions. As such, it is important to consult with the data compatibility experts at Maxxphase from the start. Data compatibility impacts how data systems interact and fit together into the compatible business data environment. Our data analyst consultants are trained in the intricacies of our patented compatible data modeling and can lead the development of your compatible business data environment. Our data analysts are also well-versed in external compatible data systems which may be used to enhance your compatible business data environment. Designing compatible data systems requires the incorporation of the proper Maxxphase Data Compatibility Standards. Once a data system has been made compatible, that data system becomes an integral component of your compatible business data environment. Any data compatibility solutions may also be applied to these integral components. Maxxphase provides the know-how, whether implementing compatible data systems or data compatibility solutions. Compatible data systems must be properly implemented to provide direct interoperability with the other compatible data systems. Maxxphase and our technical partners deliver governance of each of the Maxxphase Data Compatibility Standards. 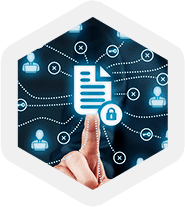 Our consultants provide the expertise to properly implement these Data Compatibility Standards which form the spine within your compatible business data environment. Maxxphase implements proper maintenance methods to ensure that the data systems remain compatible and current. As more internal or external data systems are made compatible, these data systems can be added to your compatible business data environment to develop new business opportunities. Maxxphase consultants will expand your business data environment as needed.